Give Away This Pocket Sized Survival, Prepping, And Bushcrafts Accessory And Make Killer Money Doing So. High Quality Stainless Steel Multitool With A Great Upsell / Downsell Funnel. 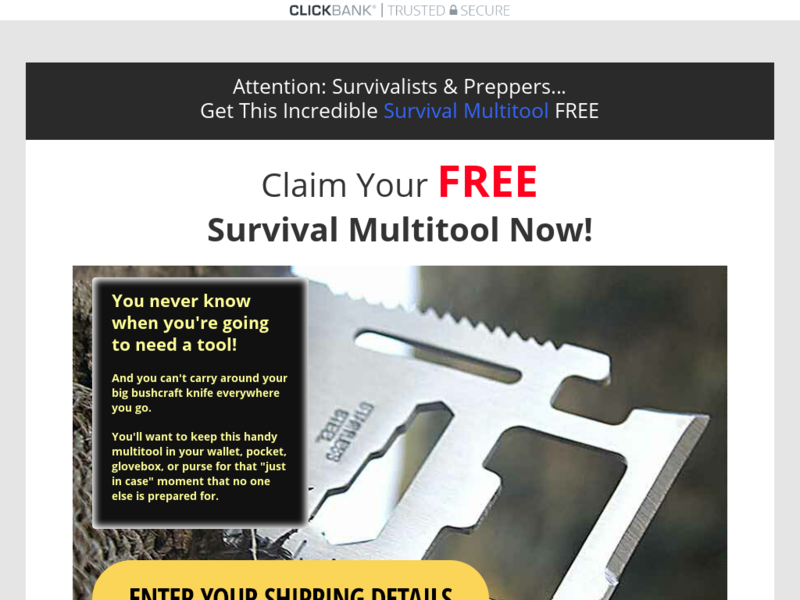 Will Convert On All Survival, Prepping, And Bushcrafts Audiences.